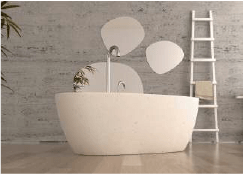 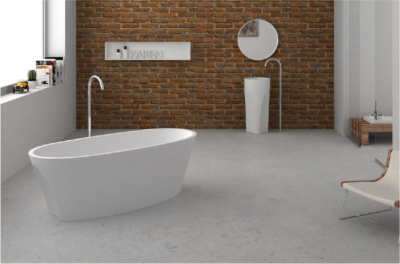 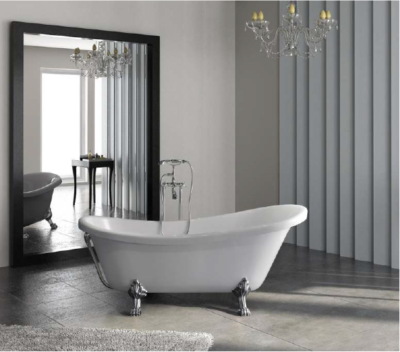 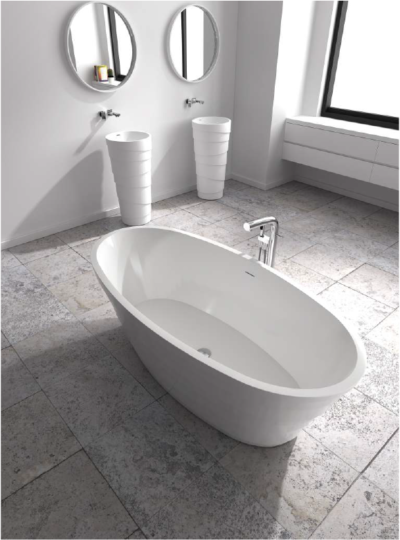 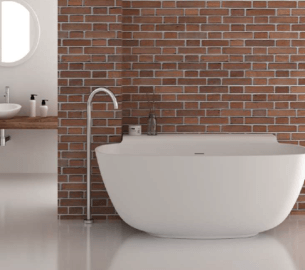 Create a striking focal point in your bathroom with this modern acrylic freestanding bathtub. 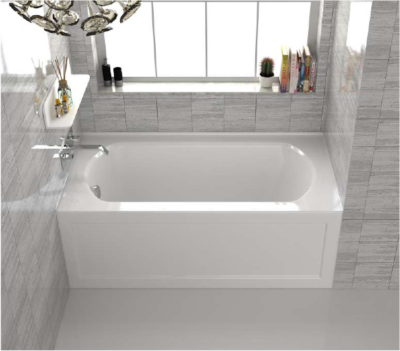 It has a sleek design and defined lines to complement your decor and make your bathroom seem more spacious. 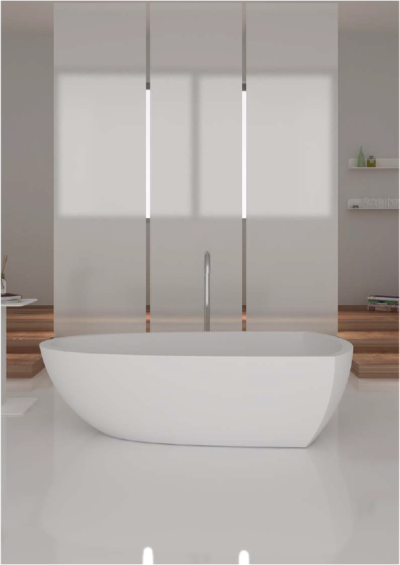 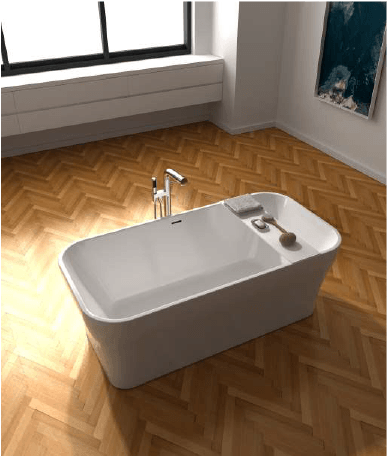 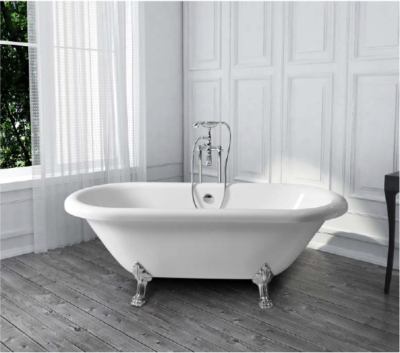 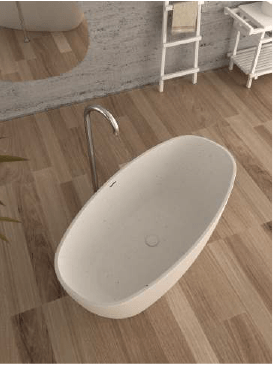 This bathtub is made from acrylic and is reinforced with fiberglass for a durable finish that will not stain or fade. 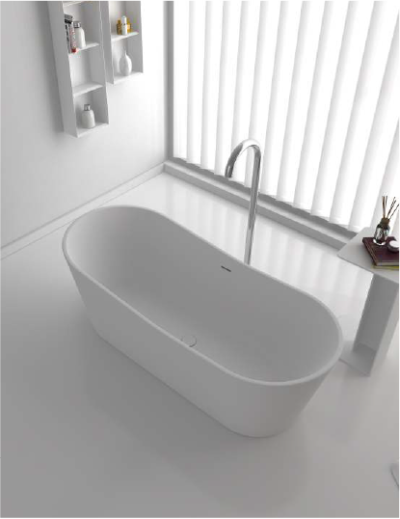 It also has an end drain and includes the waste and overflow for a convenient and easy installation process.